For history we studied Pompeii. The sad tale of a city buried by the eruption of Mount Vesuvius. So what better way to remember that gory bit of history? 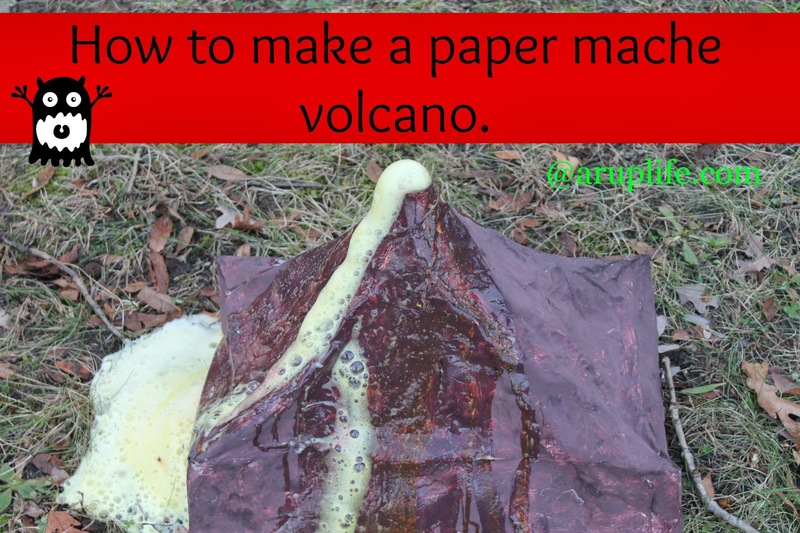 Make a volcano! First thing we did was get a box (shirt box bottom) and then we put a two liter bottle in the middle. Next we put tape from the top of the bottle to the edges of the box to make a frame for the volcano. To make the paper mache liquid we mixed flour and water until it was slightly a slightly watery mixture. Next we dipped the newspaper into the mixture and started molding our volcano. The finished product was wet and rather mushy so we let it sit for 2 days to dry completely. I had no brown paint! So I had to mix it myself and then the boys painted our volcano. Another day to dry (probably needed just a few hours but we waited 24 to be safe). Then we used a funnel to add baking soda, a few drops of dish soap and yellow food coloring (we were out of red.) After that we went outside and mixed in the final important ingredient! White Vinegar! As you can see it was a huge reaction. The kids were excited and I'm sure it will be a project they remember.